“This is a totally unique service. It is unlike any traditional sessions we go to. We have been wrapping lucky dip prizes, preparing the tombola, planning refreshments and doing the final planning of our musical programme. 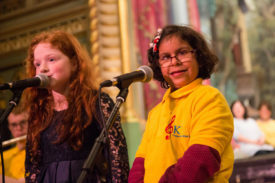 We know all our participants are practising and also busy raising sponsorship money and we cannot thank them enough for giving up their time for free and supporting OK Music School. Music changes lives. Camila’s story shows just one of the lives that we have helped transform through music. Please take a few minutes to watch this short film. With your help we can make a difference to more children like Camila. Lots of preparations in hand now for our Music Marathon to make sure all goes well on the day with plenty of refreshments! 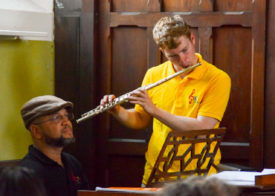 Our OK Music School students will be practising this week with the band performing Mission Impossible and Billie-Jean amongst others, solo performances on piano, flute and saxophone and some lovely singing too. Then with our wonderful participants, we’ll be hearing everything from Mozart to Westlife with Les Miserables and a touch of opera thrown in! So do come along to enjoy the music and please support all the performers who are giving their time and efforts on our behalf to help more children and young people at Music School. David has high functioning ASD, in fact he has what is known as DME, which means he is very bright but also has a learning difficulty. This makes it difficult to find suitable activities appropriate to his specific needs. 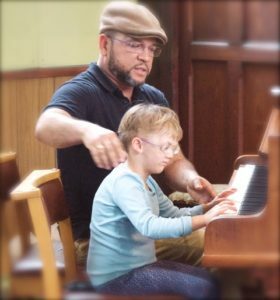 Having access to specialist teachers at OK Music School makes all the difference, and has enabled him to thrive. 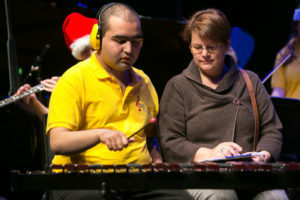 With gentle therapy to enable him to concentrate, David has now learnt how to read music and the basic constructs of music including counting and rhythm. 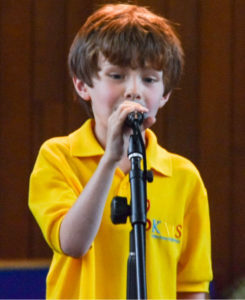 Despite being anxious about performing, he took part in our relaxed summer concert and his growth in confidence meant he also took part in a school talent show and will be performing at the Music Marathon. 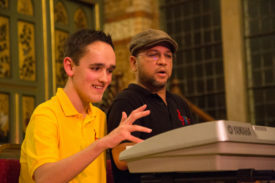 His focus and attention have also improved very much, helping him at school and in numerous different situations. We are all getting very excited for the Music Marathon now and planning the day. We are collecting items for the tombola – please let us know is you can donate something – and finalising the programme. Thank you again to everyone taking part and for their efforts to raise funds for OK Muisic School. Do please support them if you can and help more children and young people like Rosie. Rosie is 13 and has physical and learning difficulties. She found the world a scary place and did not tolerate most noises apart from music. 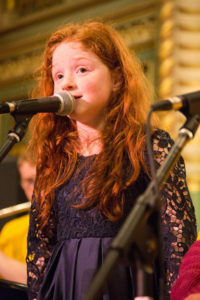 At Music School she gained the confidence to learn to sing beautifully and has performed in our public concerts many times. 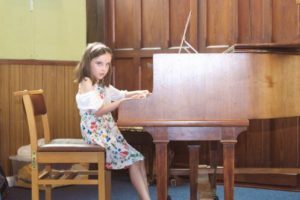 She can express herself through music and singing and now has high self-esteem and says she is proud of herself. In 2016, she sang on the radio at Heart FM and won the hearts of everyone who met her. 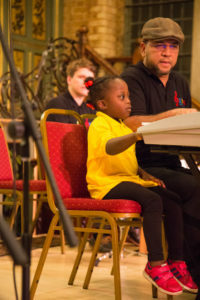 Just 5 more weeks for our performers to practice their pieces and raise their sponsorship money! If you’re coming along there’ll be plenty of food – homemade empanadas, hot dogs, cheese platter, cakes and wine and soft drinks to wash it all down. We’ll have stalls and games for children too. 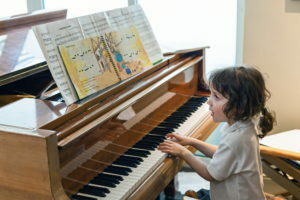 You can see Henry playing the piano here: The Fabulous Henry!